What is so great about running? Feeling free, checking out the scenery at the perfect pace, noticing your heart beat, feeling alive and healthy; and from a Type A personality standpoint, getting from point A to point B faster (than walking) and the most direct way possible…in a straight line. (Us efficiency types don’t like weird back tracking squiggly lines). When it comes to running efficiency, it’s not so much about running in straight lines, but efficiency comes from minimizing lateral (side to side) and vertical (up and down) movements. 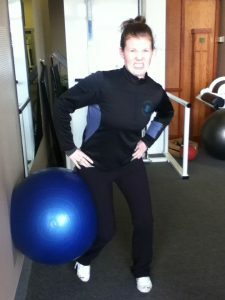 Having a hip swish out to one side or bouncing up and down while running is a sure fire energy- and time-waster. Our goal is to maximize our forward movement, finish the race with a time we’re proud of, with energy to spare and most importantly, stay injury free. (Side note: you know I’m all about having FUN too, so get technical enough that you’re achieving your goal, and stay loose enough that you’re able to enjoy the moment). 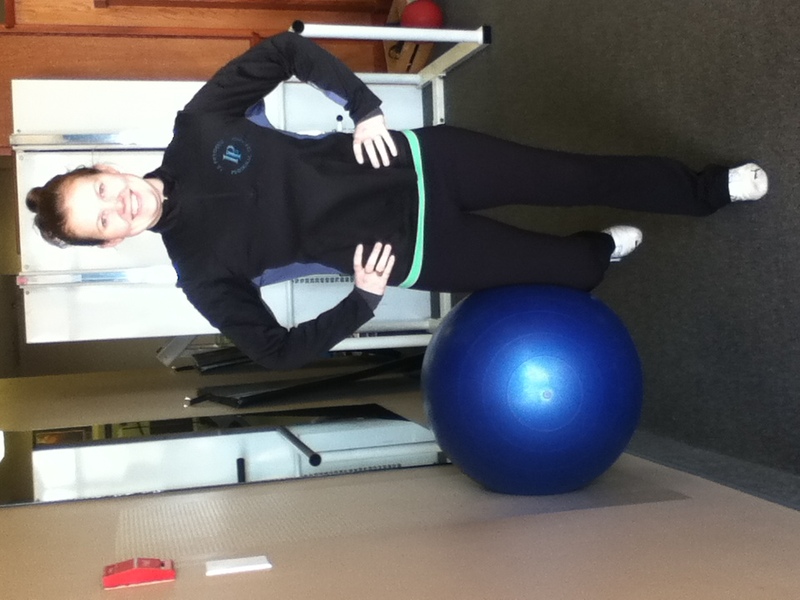 Our focus this week is on the hip stabilizers. Do you think about or notice your bum when you run? Your “gluteal complex” could possibly be lazy and maybe their contraction/contribution is minimal during running. This may cause the iliotibial band (IT band) to become tight and irritated as the body does try to keep things lined up and stable. Here’s an analogy – imagine one (or two) of your big lazy work colleagues not pulling their weight in the office, so guess who gets stuck doing it? Yeah, that poor skinny tall guy in the IT department. All is fine and dandy until one day he decides enough is enough, and quits. Uh oh. 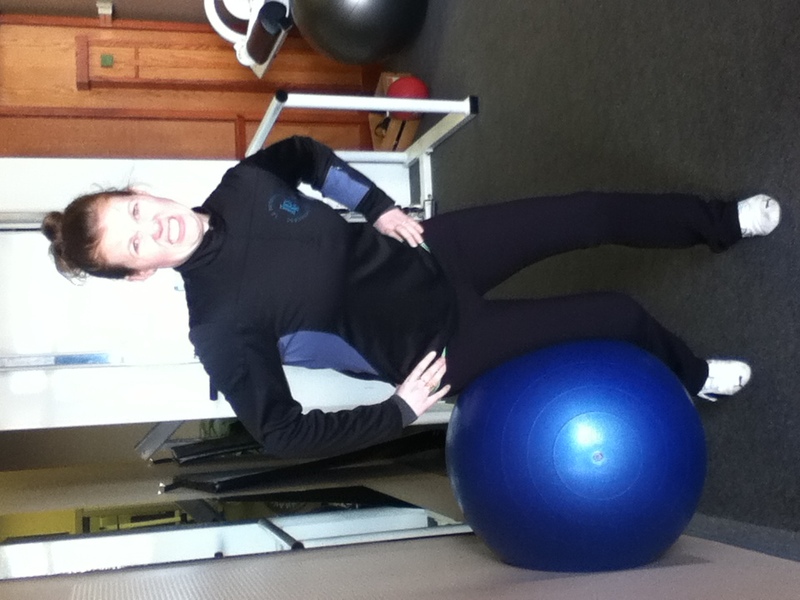 Who’s going to help us stabilize the hips now? No more running for you! How does the IT Band factor into Hip Stabilization? When the IT band is overused, the resulting tightness is often felt as a sharp pain along the lateral (outside) of the knee – also known as “IT band syndrome.” If diagnosed with IT band syndrome, it is suggested to run scale back your training distances and rest. This can become a drawback when you’re training for a marathon on a specific date though, n’est-ce pas? So what do you do? So yes, rest and change up the training, but this is where strengthening exercises come in handy to facilitate your recovery AND address the problem that caused it in the first place. It’s also great to ensure that you “pre-habilitate” these muscles *(take a proactive approach versus waiting until you’re injured) to make sure that you’re not side-lined by IT band syndrome again and again. 1) Stand beside the wall and ensure you are close enough that a stability ball can fit between the wall and the outside of your leg closer to the wall. 2) Place the ball to sit between yourself and the wall, just above the knee. 4) Bend the knee that is next to the ball to 90° so you are stabilizing / balancing on your other leg. Hint: Pretend you have a peg-leg. 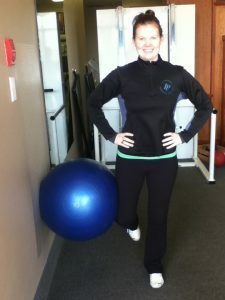 REMINDER: Continue to keep your hips square, tighten your core, and make sure you keep a neutral spine. No leaning or twisting allowed! 7) On your standing leg make sure you feel weight in your heel-midfoot. Stay firmly planted on the ground. 8) With each sweep, you should feel the work in the high hip (gluteus medius) of your standing leg. Don’t have a ball? This same movement can be done with a pillow against the wall. No cheating! Stay tuned for more running tips in our Half Marathon series. If you have any questions, we’re here to help! 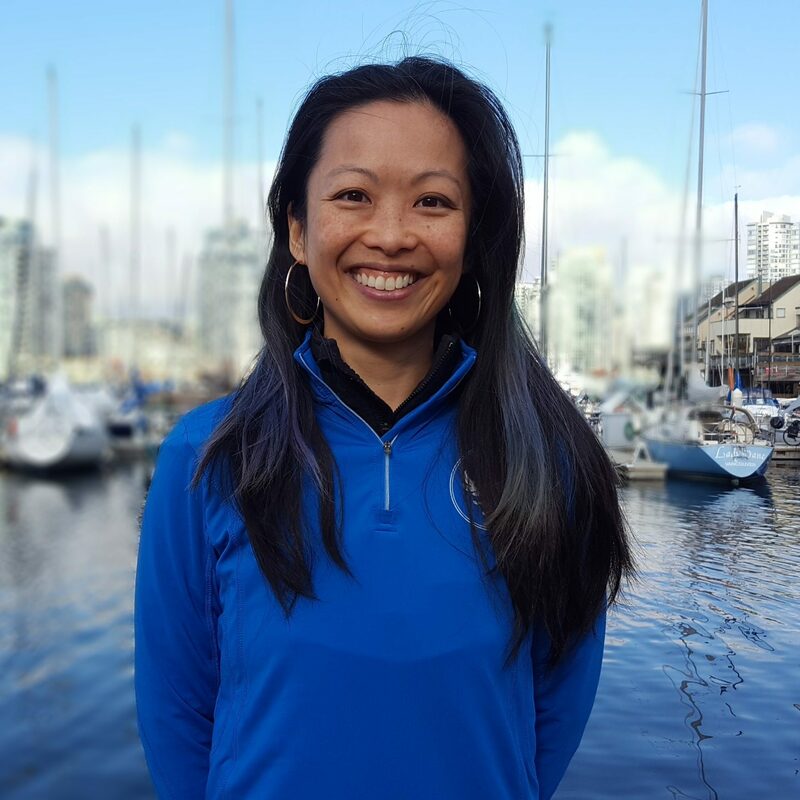 Contact us at 604 873-2255 to book your running assessment. Good luck and have a great run!